Much of Europe experienced some big storms and adverse weather conditions over the last few months. Those of us living on the coasts or visiting have experienced some amazing surf. Although much of it has been too wild or too big for us mere mortals, the big wave chargers found their perfect waves. During this time our beaches have been battered and it is so important we look after our beaches. Hossegor and much of Europe have been firing recently and we are finally experiencing some warmer weather too. So despite good surf and warm temperatures many locals turned up for a beach clean-up at the weekend. Hosted by Hossegor Surf Club the surf & beach community turned up to volunteer their help. Supporting the Surfrider Foundation, the clean-up took place at 1:30pm on Saturday. There was a good turn out and a great deal of rubbish was removed from the Hossegor beaches. Making the beaches cleaner for everyone, locals and visitors alike. 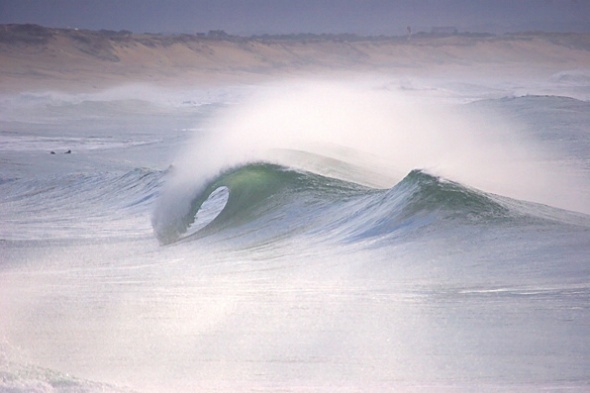 Hossegor is almost ready for the summer and it’s counting the days as it prepares itself for the influx of holidaymakers and surf fans for the holidays and their search for the perfect wave. This year Hossegor will again welcome and play host to the ASP World Tour with the Roxy-Pro (23rd to 29th September) and the Quiksilver Pro (25th September to 6th October). If you are interested in visiting the South West of France you need to hurry. Look at our France pages and get in touch. Home of The Perfect Waves European Head Office we are looking at some exciting new camps coming online very soon, so keeping checking our website & our FaceBook for updates. If you are also looking for the ultimate guided surf trip in the SW of France, join former European surfing champion Grishka Roberts as he helps you find the perfect wave. Uncrowded Central American Gems – Miramar Surfcamp, Nicaragua. How about a Mentawai family surf trip?